Melissa Halas-Liang’s Healthy Living Products. No matter what type of athlete or exercise enthusiast you are, or the intensity of your training or exercise program, this book will help you understand the benefits of plant-based proteins and plant-based foods for your unique goals. 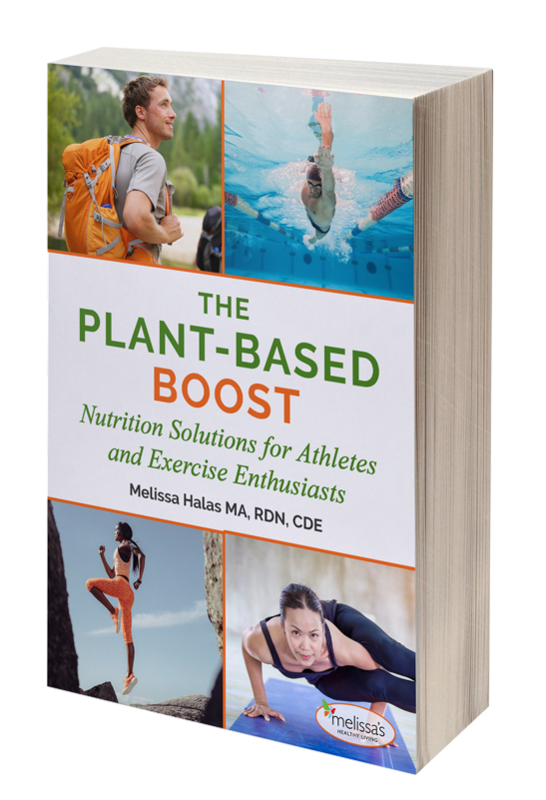 This book offers the latest research on sports nutrition and how to boost plant-based foods for athletic performance and optimal health. It includes best practices for competitive athletes as well as helpful food and fitness insights for exercise enthusiasts. Whether you’re an omnivore trying to eat less meat or a vegan trying to improve nutritional balance, we’ll guide you through meal and snack strategies to implement before, during, and after exercise. You’ll learn about protein quality and dosing, types and amounts of carbohydrates to target, the benefits of healthy fats, and fluid and electrolyte strategies for adequate hydration. You’ll also read about food sources with performance-boosting phytochemicals, effective ergogenic aids, and common athletic supplements (both good and bad) – most of which you can (and should!) use to your advantage. You’ll gain practical nutrition advice through our easy-to-understand charts and tips that will help you customize this up-to-date information in a way that will help you optimize your fueling techniques to perform and feel your very best every day. 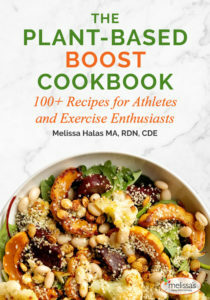 Whether you’re an omnivore, vegetarian or vegan, you’ll find recipes you’ll love in this book for athletes and exercise enthusiasts. It will give a health and performance advantage, and allow you to choose from meals, snacks, and desserts that provide a plant-protein boost or are 100% plant-based. The nutrition breakdown allows you to customize your meals and snacks with tasty add-ons for additional nutritional and flavor. You’ll be fueling for your exercise with ease – no more guesswork needed! 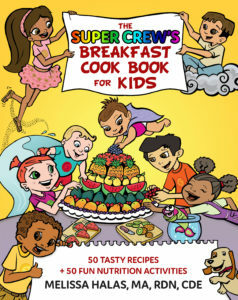 You and your kids will love this book full of tasty adventures and fun kids’ nutrition activities! It is a perfect tool for parents, teachers or health educators to gets kids to explore a variety of colorful yummy foods that nature provides, while also learning about nutrition. 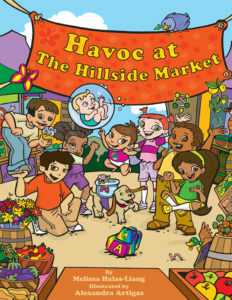 Join the fantastic and courageous adventures of the Super Crew, a group of eight children, their dog, fish and duck who run into trouble during an innocent outing to the farmers market! After some fun and a few mishaps, the Super Crew finds themselves in a covert pursuit of the Scalawags, a group of trouble makers. With each Super Crew member using his or her own unique super powers and ingenuity, they collectively rescue Abigail, her back pack and their dog Cinnamon, from the Scalawags. After reading this book, readers will find themselves exploring new fruits and vegetables and noticing nature’s abundance of beautiful colors. Healthy eating tips and children’s cooking activity included. Children: Toddler (read by parents) to young readers ages 3-9. Classroom & Home: Kids Activities to Accompany This Book!